Several studies have found that both hydrological extremes (floods and droughts) are occurring more often and are becoming more intense in some regions of the world. 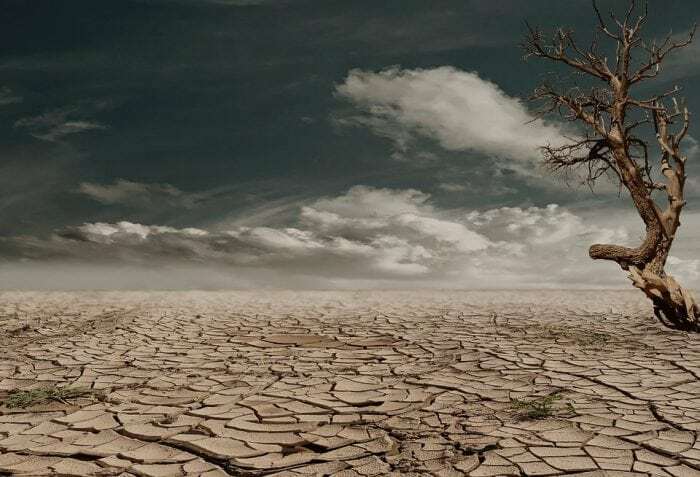 But to come to these conclusions, most of the studies have dealt with floods and droughts separately and defined them in a way that does not reflect their “opposite-extreme” nature. For example, while floods are sometimes defined in terms of one event per year (the one with the highest river flow) droughts are defined as all the events that fall below a predefined threshold. Given the lack of consistency in the definition of floods and droughts, it is difficult to use the results of those studies directly into water management. In addition, studies dealing with changes in floods do not include important characteristics, such as duration and/or water volume associated with the event, which are included in drought studies. These characteristics could be quite useful in decision making. For example, it would be possible to plan on whether the excess volume associated with one or more flood events can be used to alleviate a drought event. To deal with the limitations described above, we propose a method that allows assessing changes in both floods and droughts in a consistent way. We define floods and droughts based on pre-defined thresholds, so a drought is defined when the flow is below the drought threshold, and a flood when the flow is above the flood threshold. This definition allows obtaining important characteristics such as frequency, duration, and surplus volumes (for floods) and deficit volumes (for droughts). Given the consistency of our approach, the proposed methodology is useful for assessing changes of both extremes associated to the increase of human activities, a situation that is getting more common around the world. To prove this, we applied the methodology in the Po River basin in Italy, where studies have found that water human activities such as water abstraction, reservoirs, and levees have induced changes in floods and droughts. Our method was able to capture an exacerbation of both extremes in this basin. The interaction and feedback of water and people is gaining interest in the research community and a consistent treatment of floods and droughts opens up new ways of modeling this interaction. These findings are described in the article entitled Hydrological change: Towards a consistent approach to assess changes on both floods and droughts, recently published in the journal Advances in Water Resources. This work was conducted by Beatriz Quesada-Montano and Giuliano Di Baldassarre from Uppsala University, and Sally Rangecroft and Anne F. Van Loon from Birmingham University. Beatriz Quesada Montano is a researcher at Department of Earth Sciences, Program for Air, Water and Landscape Sciences; Environmental Analysis. Previous Post« Previous Are Dolphins Mammals?